A deadlocked board of directors, talk of a “public flogging”, and a court reluctant to intervene. The case of Goldstein v. McGrath is a colourful recent example of a requisitioned public company shareholders’ meeting, with the twist that the requisitioning shareholders were represented by or aligned with three of the company’s six directors. The decision provides three helpful reminders for boards, shareholders and their advisors: the right of shareholders to requisition (i.e. demand) a meeting can be a powerful tool, especially in the context of junior public companies; courts are generally reluctant to exercise their authority to call shareholders’ meetings; and a court will need strong evidence that an incumbent chair may engage in impropriety before appointing an independent chair for a shareholders’ meeting. 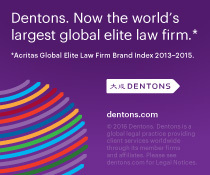 Read the full article on dentons.com.